alstertal-coaching® » City Rallies » GPS City Rally in Hamburg, Berlin, London, Barcelona, Cologne, Lübeck, Bremen & many more national / international venues. The GPS City Rally is one of our most requested activities and a real classic. A City Rally typically involves teams of 6-10 persons who compete against each other. 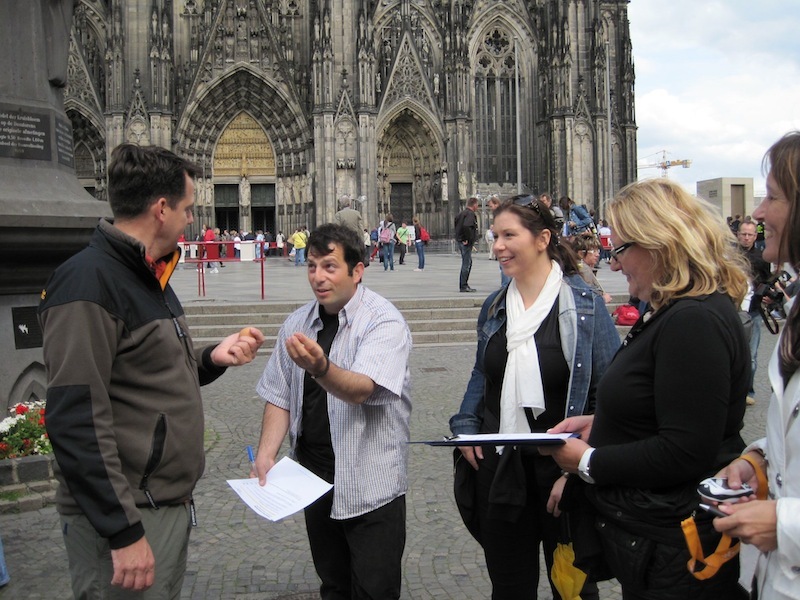 Participants are required to solve a wide range of tasks round and about city attractions and other exciting locations. The intention is for the whole (small) team to work together creatively. The help of other city residents must be sought for some of the tasks. Just working out where to go is a challenge in itself. 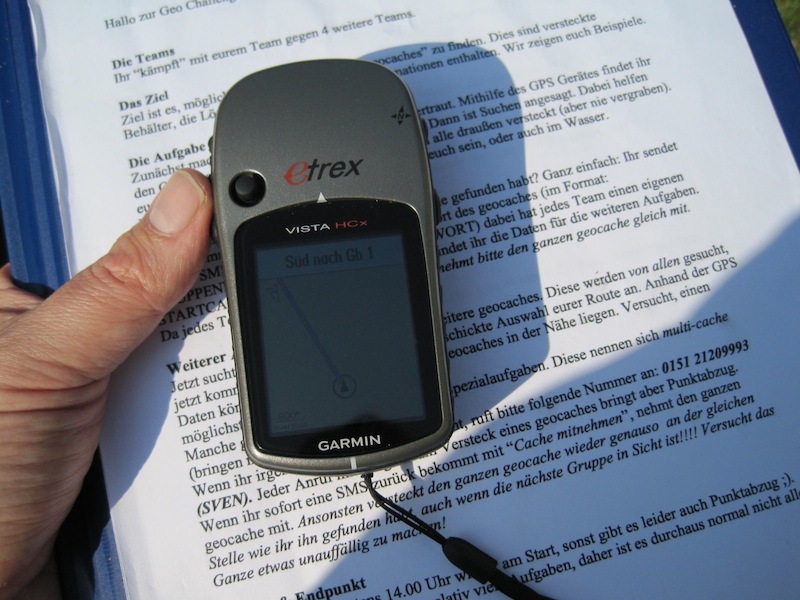 Participants use outdoor GPS devices to do so.¤ This is not as easy as you might think as only waypoints and no maps are stored in the system. In most cases, each group goes its own individual way. The City Rally lasts around 3-4 hours (other durations are also possible). The City Rally is wrapped up with a presentation of results and a brief award ceremony. There may be a coffee break in between. The route is always designed in such a way to also make it interesting for locals. For instance: come up with the lyrics for a new company song. Individual inventiveness is tested here. And of course the other teams will want to hear the results! These are solved by carrying out a search at each waypoint. Participants use their general knowledge or by asking city residents to solve these tasks. The team also needs to get organized and may need to split into smaller groups finding the right structure as the name of the game is to arrive before time runs out! The instructions are provided by our team at the start (easy even for technophobes). It is also possible to design city rallies with routes based on your own wishes. You can also incorporate themes (e.g. "Historical Wismar", or "Hamburg's Docks"). Thank you very much for the great set-up and organisation of this exciting team event! alstertal-coaching did their utmost to form tailor-made questions and tasks for this GPS Rally. Our team members thoroughly enjoyed it . 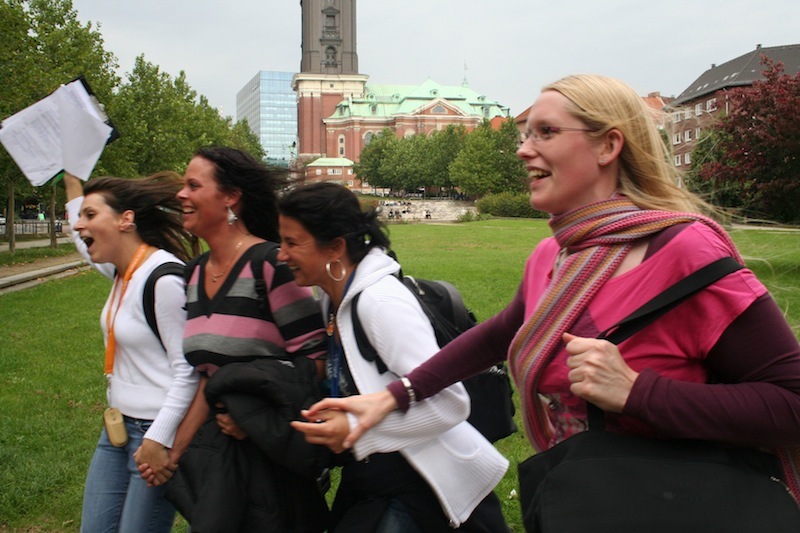 The GPS City Rally is a very "easily accessible" team building event. Over the years, it is the most favoured activity (in the last year, only the iRallye was booked more). Nearly every team loved it, no matter from what work background they came. The Rally is ideal for company meetings & conferences, too. 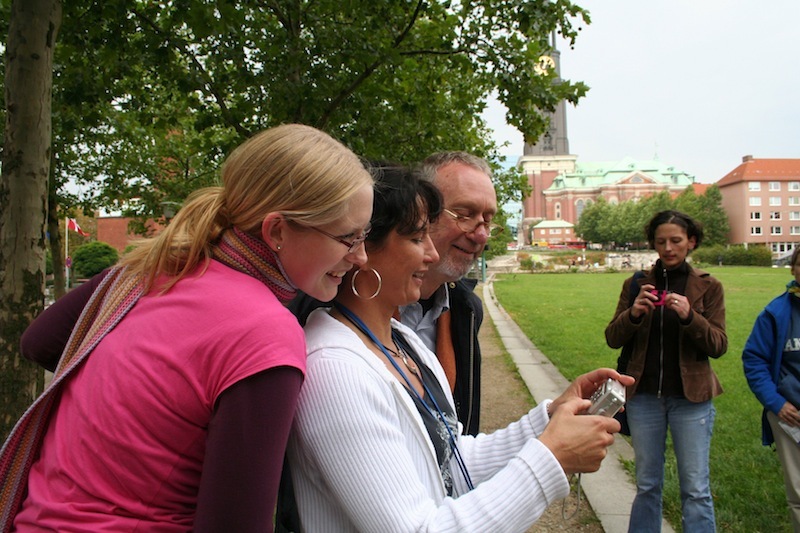 Or if you like to get to know the city you are in (as a very special kind of city tour). Furthermore this programm is suitbale for very large teams. optional: Coffee, Tea, Soft drinks, pastry: 6,90 € / pers.